Our Model 20 is a great slicer for small retail bakers who want to grow. It is capable of slicing 25 loaves per minute. It is only available in fixed slice thickness. 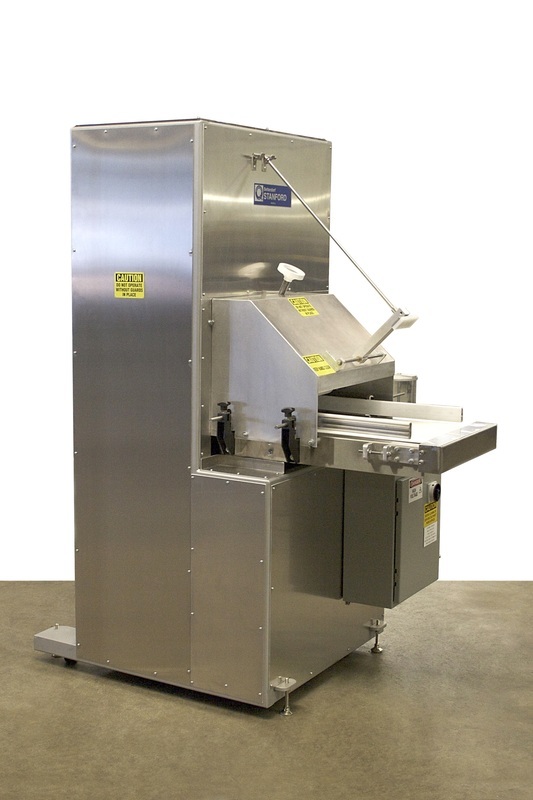 This unit is usually purchased with a Hand Bagger, closure conveyor, and either a Kwik Lok or Burford Tyer.